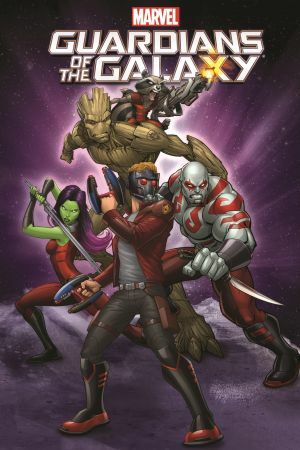 Featuring screen-capture images from MARVEL'S GUARDIANS OF THE GALAXY The stars of 2017's most cosmic sequel in highly animated adventures! After a distracting run-in with Ronan, the Guardians just want to get back on track and find the Cosmic Seed before Thanos gets his hands on it! But a chance encounter with Thor will throw the group way off track! Can they ever find their way back, or will the Son of Odin bring their journey to an end? Meanwhile, Star-Lord deals with daddy issues - and his daddy is the head of a galactic empire! Will Peter Quill end up triggering an Asgard/Spartax war? Never mind Groot - we are the World Tree! 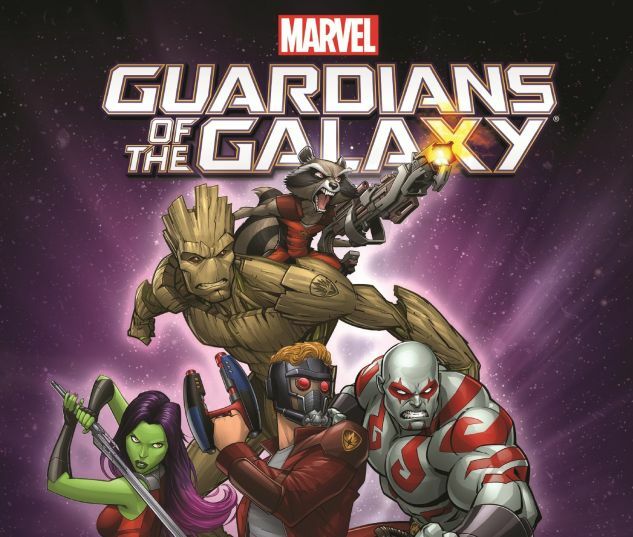 Plus: Discover the Guardians' origins. Collecting Marvel Universe Guardians of the Galaxy (2015B) #17-19 and material from Marvel Universe Guardians of the Galaxy (2015A) #1-4.